Catrine is a small village in East Ayrshire with a fascinating history in the textiles industry. 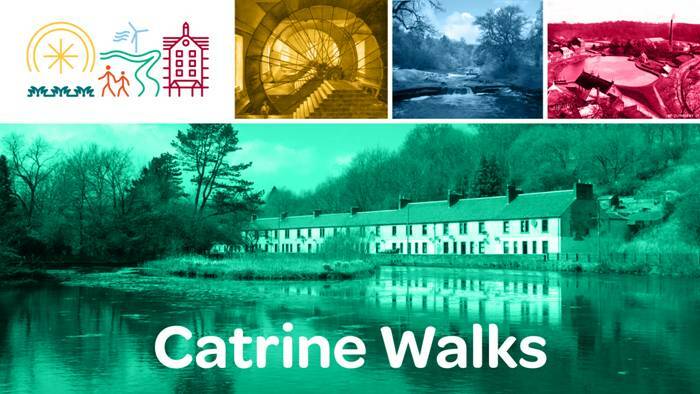 Sadly, not many people have heard of Catrine, certainly not compared to the nearby and better-preserved World Heritage Site of New Lanark. Catrine Community Trust has been working to put Catrine on the map with a project I’ve been working on since 2012. The project, entirely community and volunteer run, has created Catrine CEVIC in a disused chapel (photos in a previous blog here of the conversion work). This is both a visitor centre and a community centre. It holds interpretation, digital archives, film and children’s activities as well as a locally-run cafe. 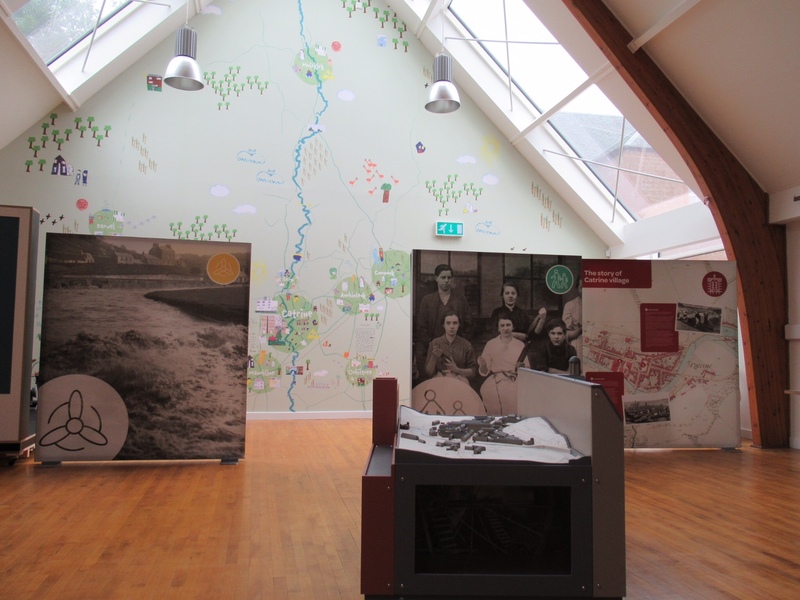 However, one of the key aims of the project was to get visitors and locals out of the centre and exploring the village and river to discover the hidden history. To deliver this aim, we decided to create an ‘app’. 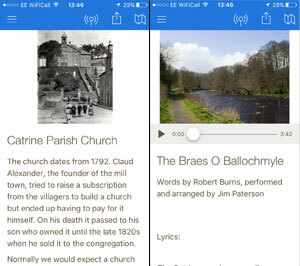 The app can be downloaded in the centre using the wifi and then uses your phone or tablet’s GPS to take you on guided tours around the village and up and down the River Ayr. The walks were developed in community workshops where a group of local volunteers spanning three generations of local residents came together with maps and archive photographs, sticky notes and marker pens to decide on the ‘must see’ points of interest and stories to be covered. This was followed up by a series of ‘test walks’ where we followed the proposed routes, finalising the directions and content for each stop. Stops are plotted on a map and have photos, stories and information, and audio or video clips, then directions to the next stop. 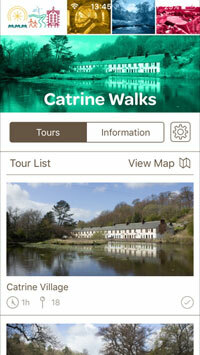 The app was built using software by a New Zealand based company called My Tours. The My Tours content management software is very user-friendly and cost effective but the main benefit of using this platform over commissioning a bespoke app is that the community can continue to grow the number of tours within the app. I’m excited to see what other tours community groups will come up with (I think a wildlife watching walk is being planned, there are otters living nearby! ).